A reading and an improv show! Save the dates! 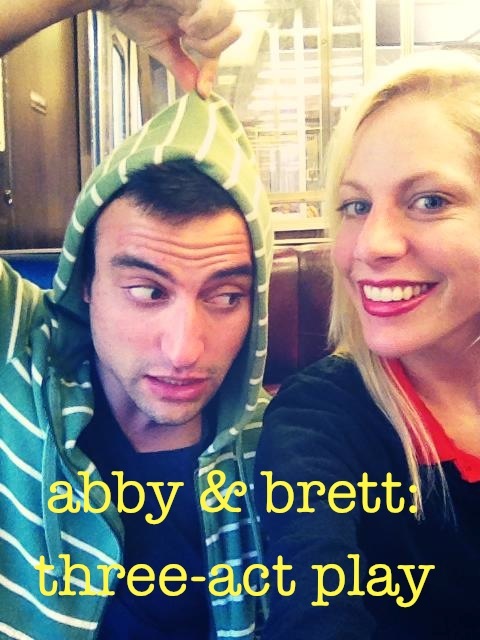 2) Brett is teaming up with his favorite comedienne Abby Rosebrock for a one-night only improv show called Abby & Brett: 3-Act Play! That’s right, Brett & Abby are improvising an entire three-act play and they can’t wait. The show is Saturday, March 15th at 9:30p. Tix are $8 in advance (here) and will be $10 at the door.